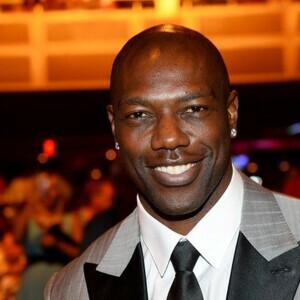 Terrell Owens net worth and salary: Terrell Owens is a retired professional football player who has a net worth of $100 thousand. 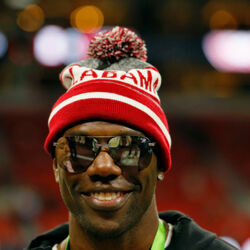 During his NFL career, Terrell Owens earned around $80 million in salary and endorsements. Unfortunately, by 2011 Terrell was completely broke, telling a judge that he had no monthly income and very expensive monthly obligations. At the time he was in court asking for reductions in four separate child support cases. In documents submitted to the judge, Terrell described how he is currently required to pay nearly $60,000 a month to four different women. He also pays $63,000 a month for all the homes that these women live in. Furthermore, his personal home in Georgia was in foreclosure which forced him to move into a girlfriend's apartment in Los Angeles. Tough times for TO. The final lesson here is save your money and use a condom. In 2015, Owens joined the cast of the hit NBC television series, Celebrity Apprentice with Donald Trump where he competed in a variety of business-related challenges with his fellow celebrity cast-mates. Later that year, he also appeared on the hit reality television series, Celebrity Wife Swap, where he traded lives with actor Robert Carradine. As an NFL player he played the 49er's, Philadelphia Eagles, Dallas Cowboys, Buffalo Bills and the Cincinnati Bengles. 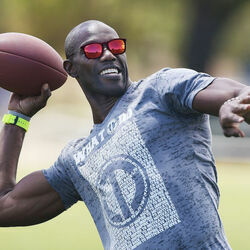 Terrell Owens was a wide receiver. 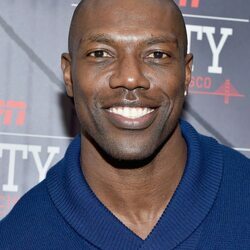 After Earning $80 Million In The NFL - How Did Terrell Owens Lose All His Money?? ?